I hope you enjoy my online gallery and come back often to see new postings and get updates on upcoming shows and other art-related activities. Sharing my work is almost as much fun as painting! Your comments and questions are always welcome. 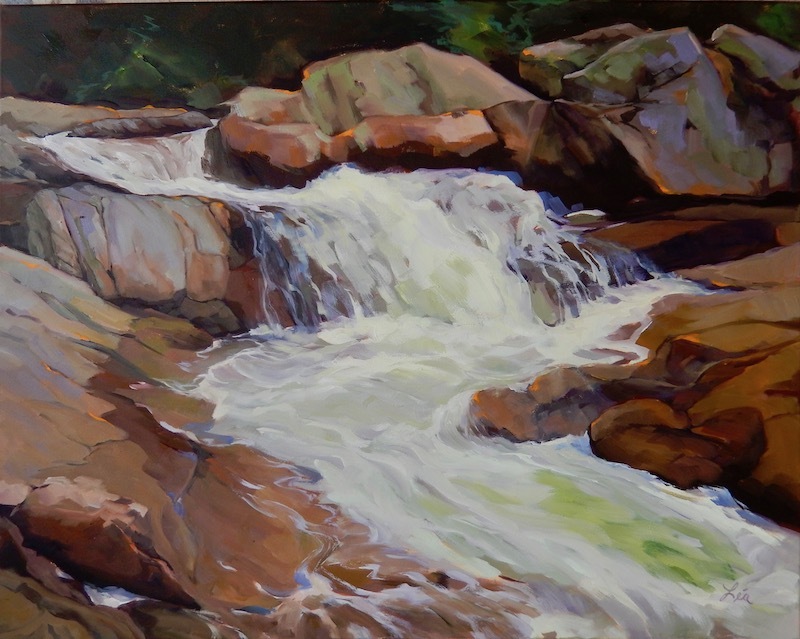 Most days during this spring find me at work in my studio on a new portfolio centered on the theme of water in all its shapes and shades--foaming surf, rushing brooks, thundering waterfalls, quiet ponds, reflecting pools, etc. One of my sons suggested I do a still life of Poland Springs bottles, so perhaps that will be added to the list! "Freshet" above and "Wild Garden" below are two of the newly finshed pieces. While this is the "quiet" season for art shows, my work is still on view in several places. Art Maine magazine included me in their newly released 2019 Annual Guide "showcasing 91 of Maine's most collectible artists". Several of my paintings are part of a juried show at the Thomas Moser Gallery in Freeport, Maine, which runs through next summer. And I was invited to display seven of my paintings in Senate Majority Offices at the Maine State Senate in Augusta, where they will remain until the end of Jne. My primary ongoing venue is the Elizabeth Moss Gallery in Falmouth, Maine. Paintings from my 2018 solo show, called "Working the Coast", can still be seen in the gallery's inventory. That show focused on Maine fishermen and their way of life. The second gallery where a half dozen of my works are always on display, is Centre St. Arts in Bath, Maine, which holds a new show every six weeks. More information on these galleries can be found on their web sites: www.elizabethmossgalleries.com and www.centrestartsgalleryllc.com. For the complete list of my shows in 2019, see the Exhibits page. Because I have been doing more painting "en plein air", I've added a new Page to my website to post works completed outdoors. Some of these are studies for larger paintings. 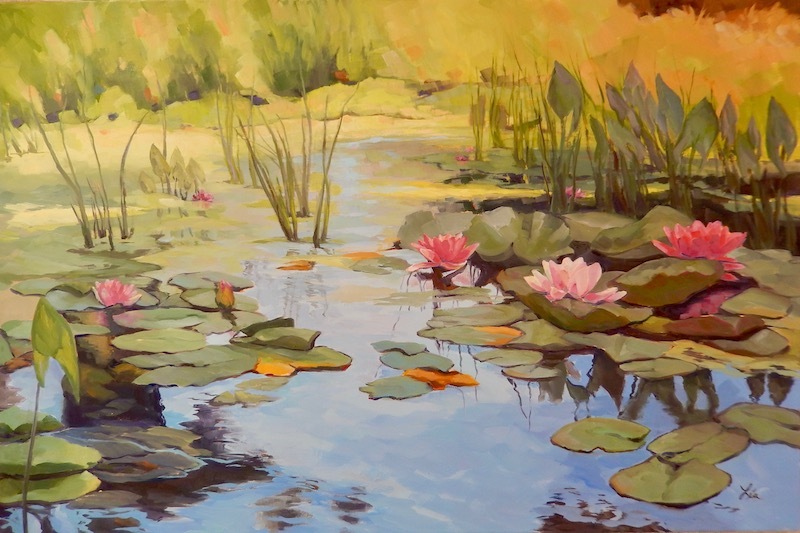 From spring to fall, I paint outside as much as possible to improve my observation of color, light and shadow, and to increase the speed with which I design compositions and capture form. I would love to get your feedback on my art and my web site. Just send an email to llpmaine@hughes.net. Thanks, and I hope to see you at one of my galleries or shows in 2019.